Enda Smith has been rested during the league by Roscommon boss Kevin McStay but may feature more prominently in tomorrow's Division Two final against a Cavan side that has a poor recent record against this weekend's opponents. THIS whole hex business could have been headed off at the pass. You can never know what the forces of nature have in store but there was an early sense when Martin Dunne stood over a penalty six minutes into the 2014 Division Three final that Cavan were going to railroad Roscommon. They were 0-2 to 0-0 up at that stage, but Darren O'Malley's fingertips turned the shot on to the post and away. Cavan did dominate and went on to lead 0-5 to 0-1 before the reel was drawn back, but had Dunne scored it would have been hard to see a way back for Roscommon. Instead, the Breffnimen lost by two, and that was one of six defeats in their last seven serious meetings with the Rossies, the other one a draw. Cavan's only win since 2010 came in a dead rubber clash a couple of weeks shy of that 2014 final, when both were already promoted to the second tier. Their formlines since then have been remarkably intertwined, to the point where this is the first time since the National Leagues were reshuffled that both teams dropping out of the top flight have been promoted back up again the following year. Their mettles were both proven against a Tipperary side that simply had a softer centre. Liam Kearns said after their loss to Cavan last week that promotion was beyond their ambitions anyway and perhaps that told the tale when the two games in three-way mini-series came down to it. Roscommon trailed them by six points on no fewer than three occasions in the second half of their meeting, but had the composure and strength around the middle third to claw it back and edge a thriller. Cavan showed their worth in equally dramatic fashion. They were aided by Liam Casey's early second half dismissal, and perhaps it was crucial as they chased the game down the home straight, but what was impressive was that they had the attacking wherewithal to rescue it. Cian Mackey's gradual reintroduction has been of the utmost importance but they have shown themselves more adaptable too. Gearoid McKiernan has been alternating between midfield and roles higher up. Killian Clarke almost all of last week at full-back, but is likely to return to midfield here. Dara McVeety was the outstanding player on the pitch when he moved to full-forward, giving the Tipp defence a torrid time and offering Mattie McGleenan food for thought. Adrian Cole is named to start in place of Conor Moynagh, with Oisin Kiernan listed at wing-back in an otherwise unchanged side. 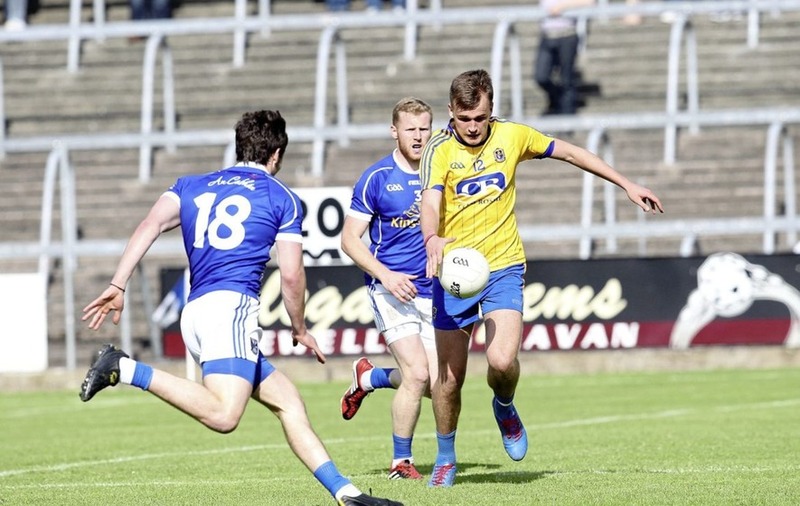 It was the strength of Roscommon's bench that edged the latest meeting of this pair a few weeks back, a game Cavan will have been extremely disappointed to lose having put themselves in a strong position early on. They'd opened a healthy lead against the wind but couldn't hold it until half-time and ultimately, a brilliant denouement from Ciaran Murtagh and cameos from Enda Smith and Cathal Cregg helped them to a two-point win. It was Diarmuid Murtagh last week when they again finished strong to see off a dogged Cork side that threatened for a while to spoil the promotion party. Kevin McStay will have a call to make on which goalkeeper he uses, with Colm Lavin starting last week and James Featherston the week before, while corner-back Peter Domican will be hopeful his display against the Rebels keeps him a starting place. Enda Smith has been drip-fed back into the side after a break during the league, with the former Mayo star saying Smith had “lumps of rust falling off him” in January after a long 2017. With the winners of New York and Leitrim being all that stands between Roscommon and a return to the Connacht final for the third year running, this is likely to be their one truly competitive outing between now and June 17. That will be a long 78 days. 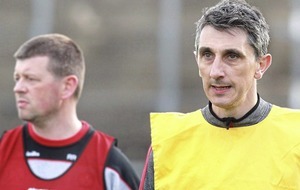 Cavan, meanwhile, will be in Ballybofey on the second weekend in May and so theirs is a more delicate balancing act. It also seems that their momentum is that bit more important given the relative proximity of championship (just the 42 days away from Sunday for them). Above all, they just need to break this Roscommon jinx. Cavan's evolving style is more suited to Croke Park now than it was a few years past and, for the first time in a while, there looks to be goals in them. 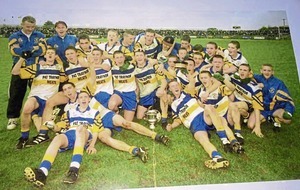 And lastly, there's the 18 years without a trophy of any description, going back to the McKenna Cup in 2000. There comes a day eventually when those runs are broken. Tomorrow might just be that day for Cavan.